The invention will solve the growing demand for EV charging stations while maintaining a zero-emission approach. UK’s industrial fuel cell power company, AFC Energy PLC has recently unveiled the world’s first hydrogen fuel cell based electric vehicle charger named CH2ARGE. 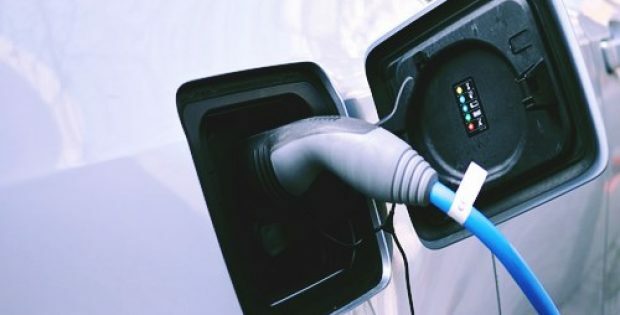 Sources close to the breakthrough state that CH2ARGE could efficiently charge an average EV to 80% capacity in less than an hour, without relying on the National Grid’s support. For the record, the CH2ARGE system looks just like a conventional electric car charger, however, the hydrogen fuel cell system running in the background would convert hydrogen gas stored in the charging station’s tank into pure electricity which will be fed into a 40kW storage battery, from which EV owners could charge their cars. Sources claim that each CH2ARGE unit would come with two charge points, capable of offering full charge to around 140 cars before the hydrogen tank runs out of gas. In addition to being able to run in remote areas, the CH2ARGE system can also operate on lower-purity hydrogen required by hydrogen fuel cell vehicles. As per a statement, AFC said that the CH2ARGE unit, in terms of charging fare, will compete with the Tesla Superchargers. However, the system’s off-grid nature would give the CH2ARGE unit an upper hand over the current charging tech, claims the company. Commenting on further plans, AFC said that it plans to generate hydrogen from electrolysis and steam methane reforming, and further gain revenues from new technologies related to the production of the gas. According to a press release, Adam Bond, CEO, AFC Energy, claims that by 2030, there could be around 9 million EVs on the British roads, up from the current 90,000 count. He claims that the transition will eventually surge the demand for charging stations as well as for alternative energy solutions throughout the country. Bond claims that the company, by developing and demonstrating the effectiveness of its hydrogen fuel cell technology for charging EVs, has validated itself to be ready to lead the way in solving the challenges of growing electricity demand in a zero-emission approach.